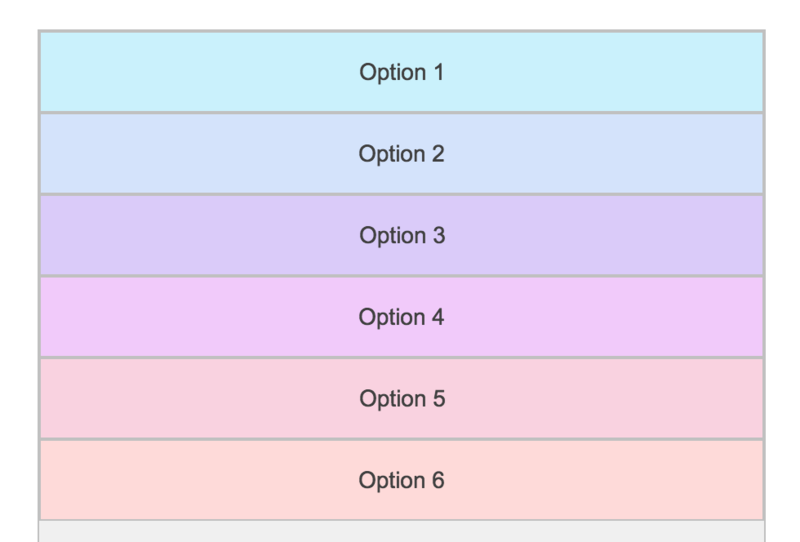 To create a menu with vertical stacks, we will need to begin with the vertical stack container. This is the container that will be used to organize all of the items in your menu. 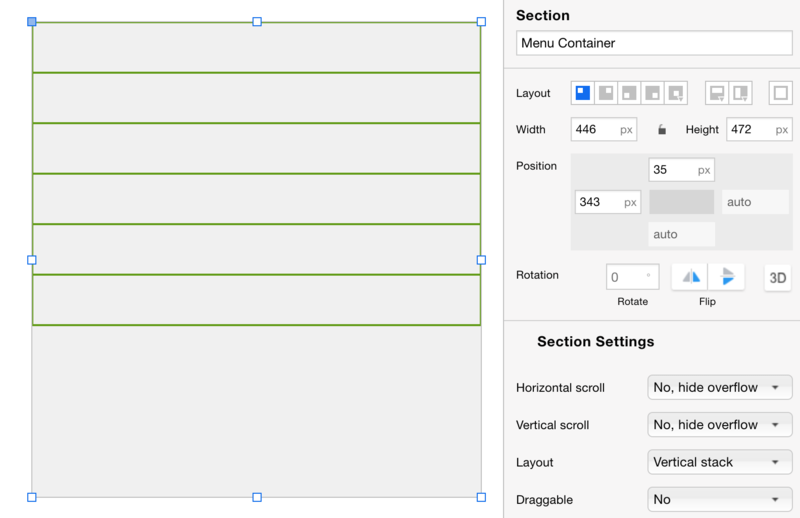 Create a container with a size that should take up the amount of screen necessary to house all your menu items. 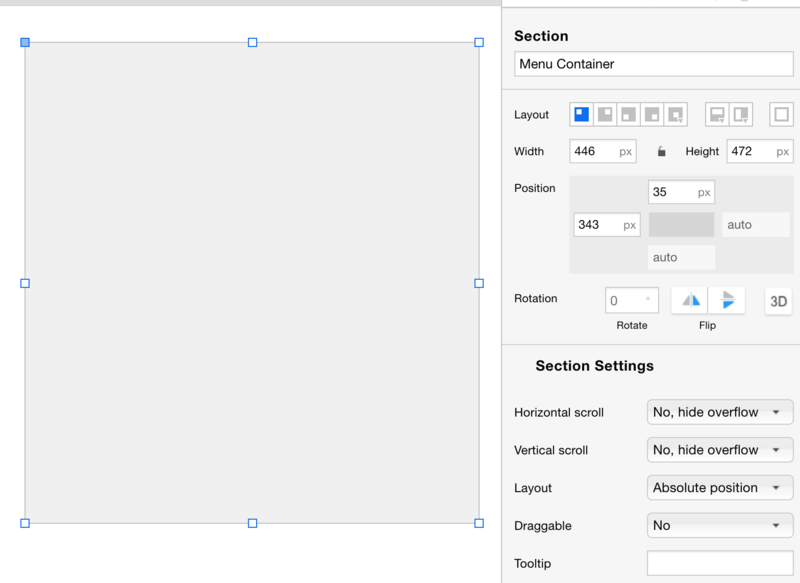 Now you can create smaller containers within the vertical stack to act as your menu options. You will want to ensure that your Drag Mode is set to Drop Into before creating the containers. The new containers will automatically adjust to the top left and cascade down as you create them. Create as many menu options as necessary. When you have all the menu options you need, create a text widget within each of the menu containers to assist in labeling them. 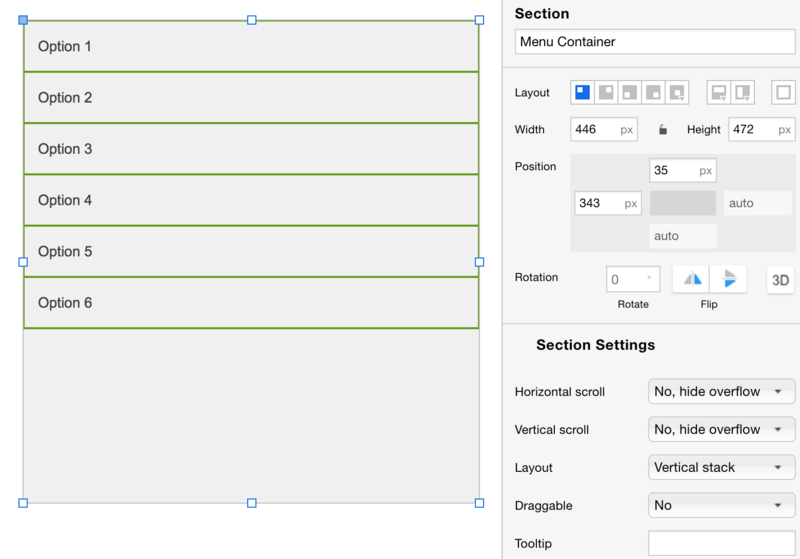 Positioning can be done using the default auto-alignment guide or absolute positioning with pixel values. You can also adjust the Layout options for the text widgets to change their positioning within the containers and easily center or middle align them. Now that the main work for the menu is complete, you can adjust the formatting to help stylize the menu according to your needs. Utilize the fill, border, and corner attributes to help bring your menu to life.